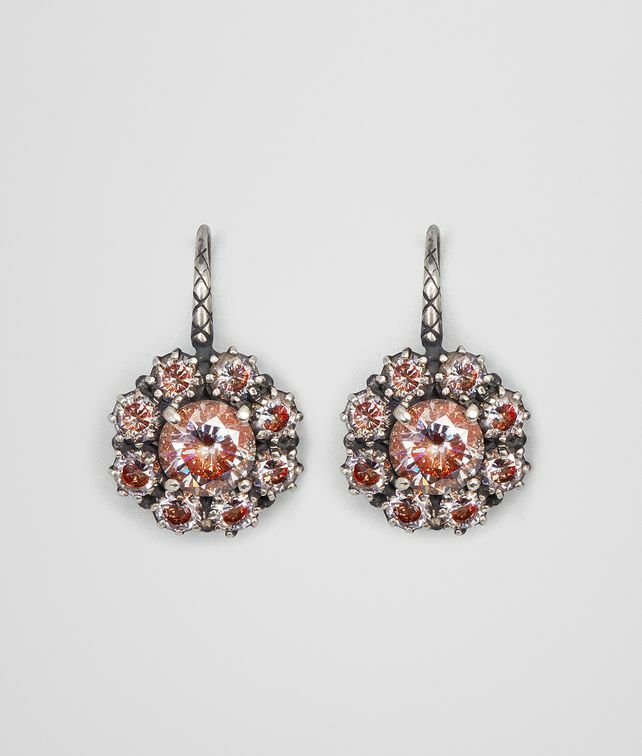 Ultra-chic and eye-catching, these drop earrings feature a sparkling flower pendant composed of brilliant-cut cubic zirconia stones. Each stone is hand-enameled by Bottega Veneta's master jewelers—an exclusive technique of the house—giving it a unique color effect that shines at every turn. The silver hook fastening is engraved with the iconic intrecciato motif. Diameter of element: 1.62 cm | 0.64"